The hikes allowed me time to reflect on how they mirror running a small business. Here are my observations. 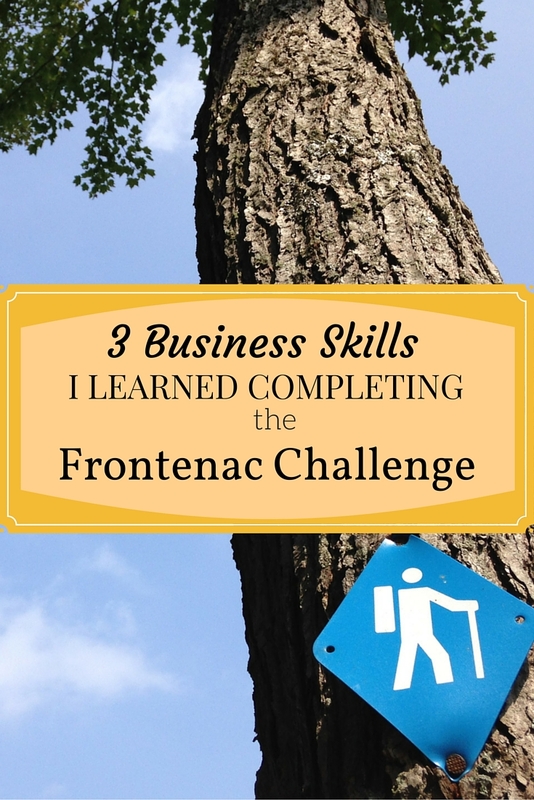 In 2009 a colleague of mine introduced me to the Frontenac Challenge. At the time, among other things, she volunteered her time to help manage the Friends of Frontenac Park Facebook Page. She spoke highly of the challenge and shared her veteran tips. Having always enjoyed the casual hike as a means to disconnect, rejuvenate, and exercise, I made it a goal to one day complete the challenge. So that year, and every year that followed, I had aspirations to complete the challenge, but personal and work commitments always prevented me. This year for my birthday, my husband bought an Ontario Parks pass and said: “This year we’re going to complete the challenge.” The ongoing desire to complete the Frontenac Challenge eventually led to its completion. In business, it is important to look to the future and set goals. Whether it is earning a comfortable income, growing your business to 50 employees, or going international, a desire to achieve that goal will drive the ultimate success of your business. 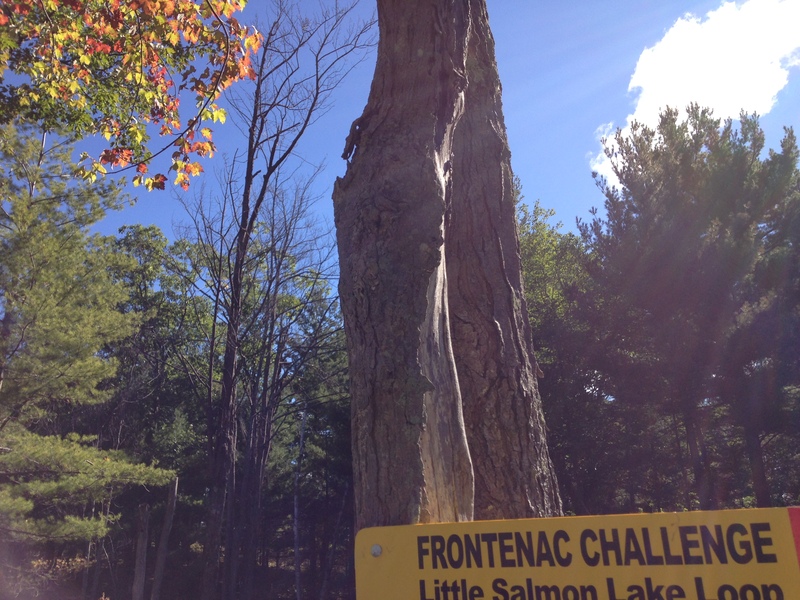 To complete the Frontenac Challenge it is required to hike all 11 original park loops within September and October. The trails in Frontenac Park range in length from 1.5km to 27km, and from easy to difficult terrain. This year we had a remarkable autumn with sunny skies and above average temperatures, which made hiking easy and enjoyable. One day, however, we were faced with rain, lots of rain. Despite being well-prepared, within minutes of starting the 14km hike I was drenched. That said, once the hike was complete I felt an extreme sense of accomplishment. Despite the less than desirable conditions, I was about to push through and complete what I had set out to do. In business, you will always be challenged, whether it is clients, customers, market conditions, or personal situations. It takes commitment and perseverance to push through these situations to grow, prosper, and achieve your goals. 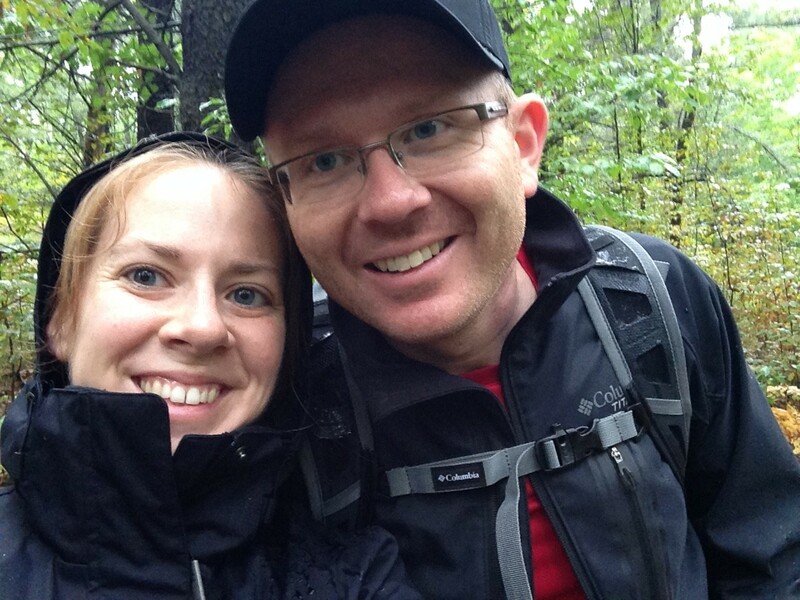 Completing the Frontenac Challenge would not have been possible without my personal cheerleader and husband. He put the wheels in motion when he purchased the annual park pass, but then followed it up with the commitment to complete the challenge with me, every step of the way. When I fell down, he was there to help me up. When I was tired, he encouraged me to keep going. He provided me the support, laughter, and pointed me in the right direction (literally), when I needed it most. In business, you need to create a positive and supportive network – be it comprised of personal or professional associates. This network will provide you with a solid foundation from which to build and grow your business, as they will provide guidance and encouragement, and encourage you to push through. Overall, the Frontenac Challenge was an excellent learning opportunity, as well as a great opportunity to experience the beauty of autumn!